Hi Guys… My name is Dino, aka Pit. Welcome on my website. First of all, let me tell some things about me. 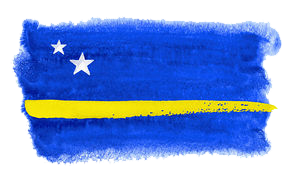 I was born on January 16th 1980 on the beautiful Caribean island of Curacao. They call me Pit because we used to have a lot of pitbulls at home, I grew up with them and very often I act like one myself. Haha. I’ve been busy now for 13 years with the Art of Tattooing. I’m busy drawing since I was a kid, but I never really did anything with it until I got older. After I got my first 2 tattoos, I started to develop an interest for this style of art. Some friends of mine and I made our own tattoomachine with a pen and a small motor connected to it. My first step in the tattoo game was tattooing family and friends. 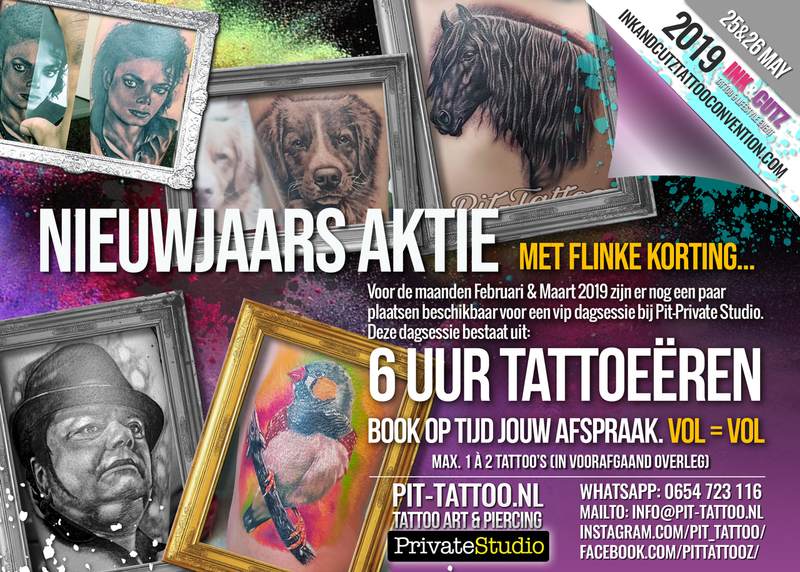 After two years of tattooing on Curacao, I moved to Holland in 2000 to get a better knowledge of this form of Art. But things worked out differently than I had expected. 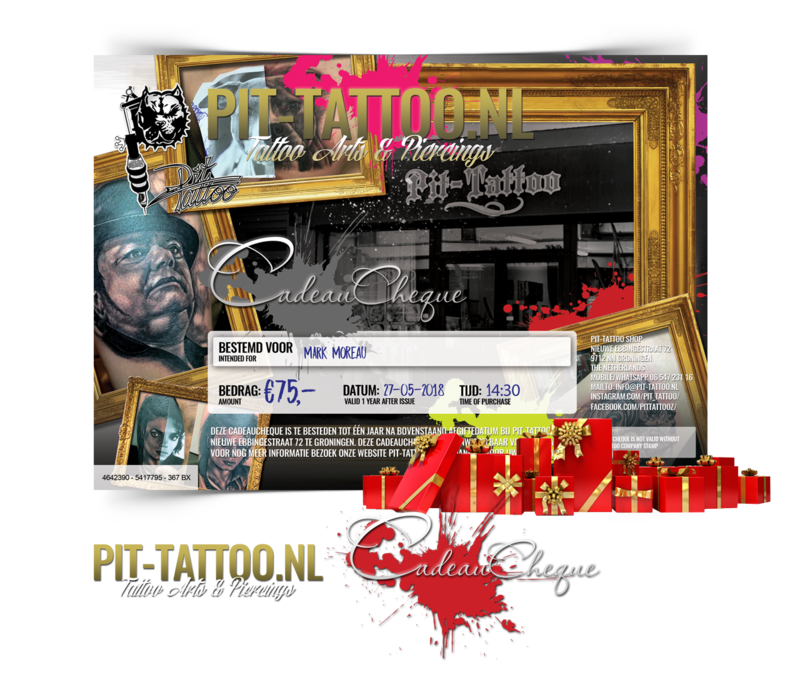 I couldn’t evolve my skills because it was very hard at that time to find a place as a student-tattoo-artist in Groningen. So I decided to find another job that would bring some money on the table and make tattooing my hobby. I worked for 8 years as an electrical mechanic and still stayed focused on developing my tattoo skills: a lot of drawing and working on my techniques. I had to learn it all by myself. In 2010 I decided to concentrate fully on tattooing. I moved to my new studio: at Nieuwe Ebbingestraat 72. I’m not yet finished though, I just got started, haha, but I’m ready and keep on striving for the best quality. 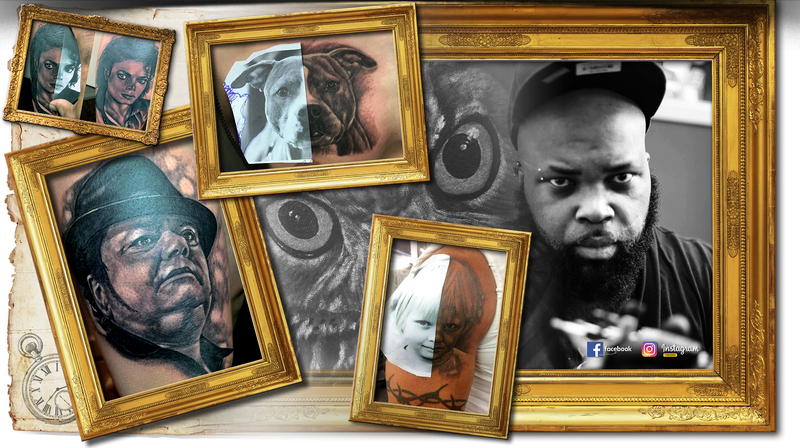 I am and will always be an all around tattoo artist, but I’ve noticed that over the years I developed a specialty in three-dimensional tattoo’s, portraits, black and grey, colored tattoos, Japanese, realistic tattoos and freehand, freestyle tattoos. Basically, I’m interested in all styles! 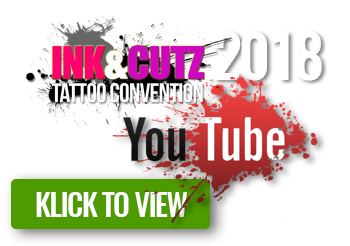 You can always come to our studio, to talk about your future tattoo or piercing.